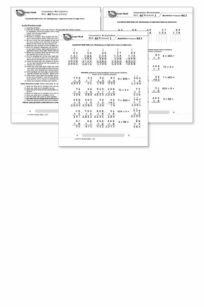 These are the rest of the Subtraction facts that the Common Core suggests that students be able to compute mentally such as 18-15, 15-5, and 19-8. These obviously build on the basic single digit facts such as 8-5, 5-5, and 9-8. Students should find these fairly easy to master but they still need some practice to commit them to memory. LOOK OUT! Because all the answers are two digits, the number of problems students can be expected to answer will go down! You must give the special Subtract from 20 Writing Speed Test to set new, lower, goals for your students. 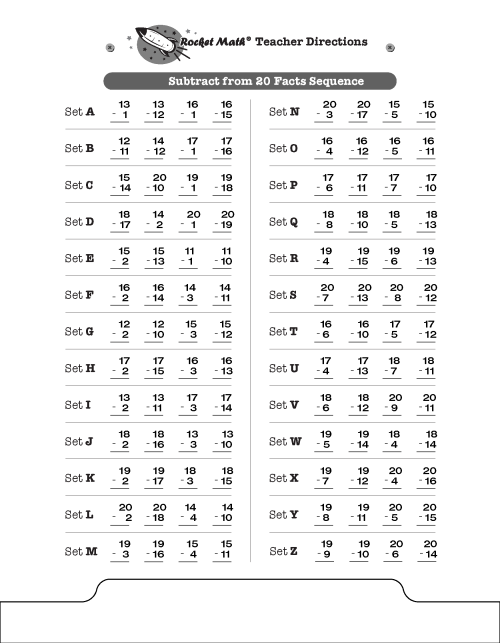 To the left you can see the sequence of facts that will be learned in the Subtract from 20 program. 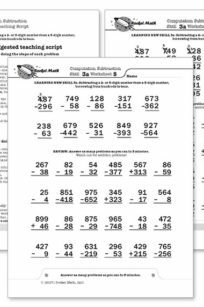 Otherwise the program is exactly the same as the basic Subtraction Rocket Math program and uses the same forms–that can be found in the forms and information drawer. 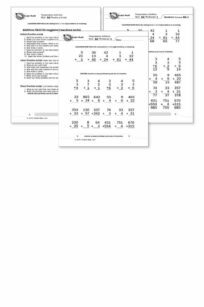 These are the rest of the Addition facts that the Common Core suggests that students be able to compute mentally such as 11 + 7, 4 + 13, and 16 + 3. These obviously build on the basic single digit facts such as 1 + 7, 4 + 3, and 6 + 3. Students should find these fairly easy to master but they still need some practice to commit them to memory. LOOK OUT! Because all the answers are two digits, the number of problems students can be expected to answer will go down! You must give the special Add to 20 Writing Speed Test to set new lower goals for your students. To the left you can see the sequence of facts that will be learned in the Add to 20 program. 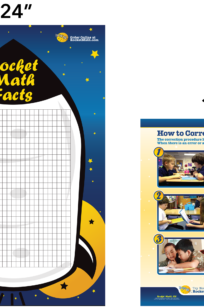 Otherwise the program is exactly the same as the basic Addition Rocket Math program and uses the same forms–that can be found in the forms and information drawer. One dozen Wall Charts (with directions, stickers, and goal arrows) AND one dozen Corrections Posters. Be ready to start right away. 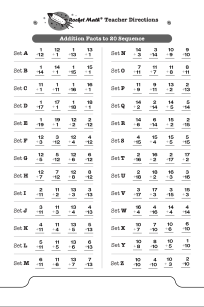 Here is all you need to organize a Tournament set of 15 Race for the Stars games. 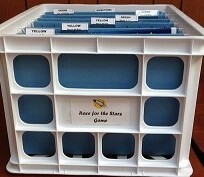 Game boards and their matching pieces store easily in the seven hanging file folders with labels for the color-coded levels of the game and directions.